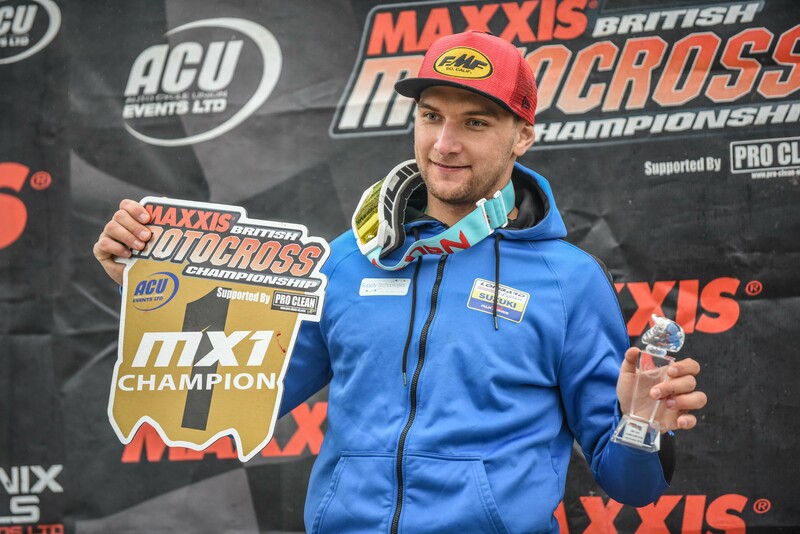 Evgeny Bobryshev has won the 2018 British Motocross Championship, piloting the all-new RM-Z450 to title glory in its debut year of competition after clinching championship at the final round of the season at Lyng. The Lombard Express Suzuki rider has been in title-contention all season after winning at the first round of the year. He's also had some bad luck and suffered a number of crashes in a year that saw him having to learn a number of new tracks, too. After winning again in Scotland, he endured a difficult round at Hawkstone Park, but came into the final round of the championship needing two third places to take the title after his nearest rival, Jake Nicholls, also endured his share of bad luck and missed the last two races of the year. In the opening moto he shot out of the gate and slotted into second place through turn one. Thinking of the championship he held position, kept it safe, and took the runner-up finish at the chequered flag. For race two he found himself in third early on, and despite only needing fourth for the title his superior pace saw him catch and pass his rivals in front to take the lead. 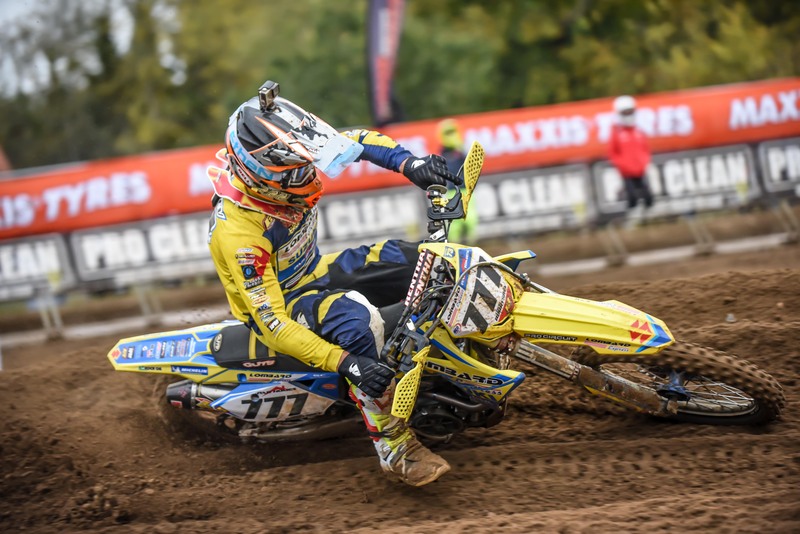 He was passed a few laps later, but with a comfortable gap behind to third place, he managed his pace to take another comfortable second place and with it the British MX1 title. He said afterwards, "We got the title! Its been a difficult year and we've had some bad luck. It's unfortunate for Jake that he got injured, but we got our chance to try and get the title. "I was stressed before the race; it’s been eight years since I had a title and today we were in the position again. I’m super-pumped and so happy for the team, they deserve this. I just want to say a huge thanks to the team and all the sponsors that supported us through the season." Team manager Neil Prince added, "I feel so relieved. This year has been difficult at times and we've had some bad luck. And what happened to Jake [Nicholls] is very unfortunate but the results show we've been up there all year. "Bobryshev has shown great speed but he's had his share of crashes and at Hawkstone he had three where he could have pulled out, but he just kept going. We haven't had much luck throughout the year but today it came our way and we'll take it. We've been there every weekend and it's been a great effort from everyone. I can’t thank everybody enough for making this possible.’"